Played the first scenario from the "Bashynya or Bust!" 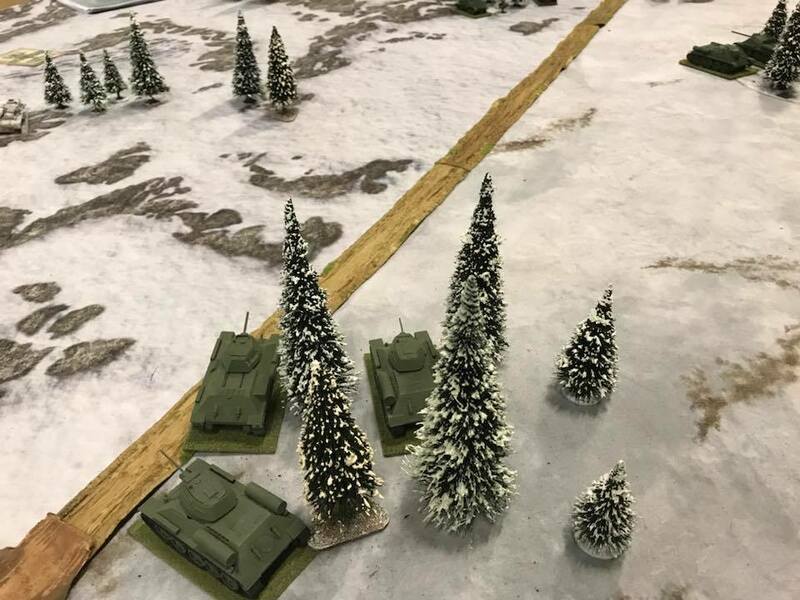 1944 Operation Bagration campaign tonight at the SLW. Very odd game with the Soviet Blinds, Rapid Deployment and Armoured Bonus cards repeatedly coming up. The Germans had to wait almost 4 turns before getting some forces on table. 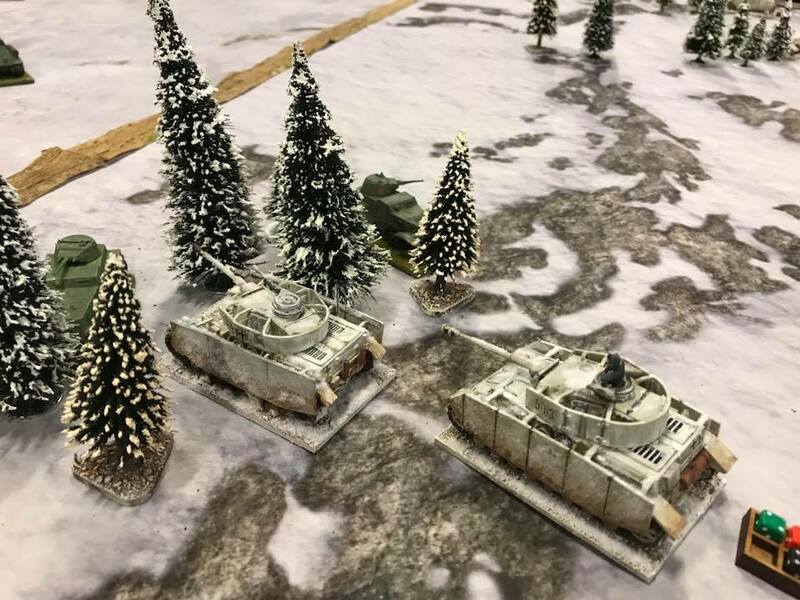 Subsequently it was hard for the Germans, but it got worse as Ian was on fire tonight: bringing in his air cover three times in a row, Pinning what forces we had on table! Ian’s Soviet tankers were also on the ball and we lost most of our forces trying to reach the bridge. Cracking game, just a bit one sided in the way Lady Luck played out! 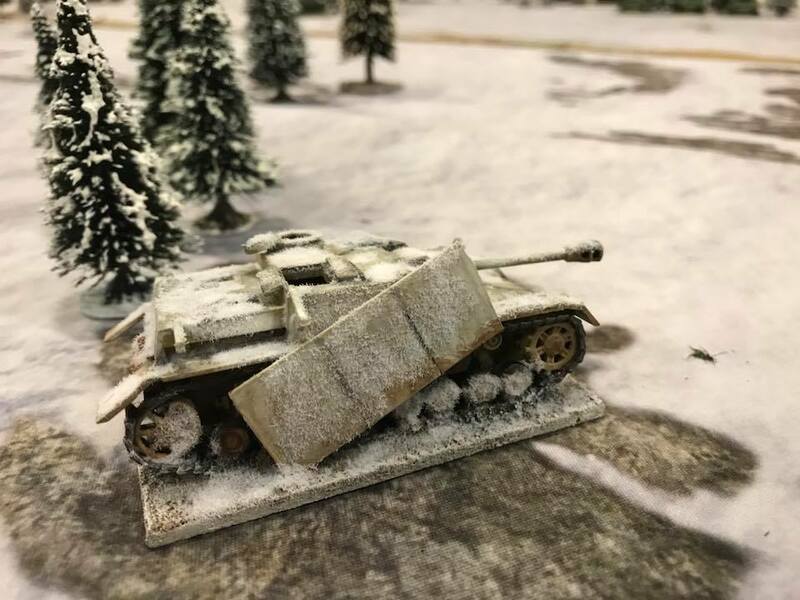 Advancing through the firs, only to run into a BA-64 whose MMG had a strike value of 2. It hit twice, we failed to save. Two points of shock and ....rolled...and the main gun jammed! Where are those Soviets lurking? Actually we are hiding from all the Soviet Blinds on table! It is all about to go pear shaped.. trust me!